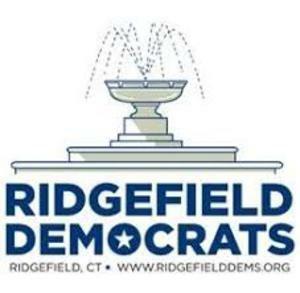 February 4, 2019: The Ridgefield Democratic Town Committee (DTC) calls upon John Frey, Ridgefield’s State Representative for the 111th District (composed of Ridgefield, south of George Washington Highway/Canterbury Lane) to disclose his participation in the Republican National Committee’s (RNC) unanimous vote to provide “undivided support” to Donald Trump in a pre-emptive attempt to block any and all potential 2020 Republican presidential primary challengers and to merge the RNC into Trump’s 2020 campaign. Alternatively, the DTC invites Mr. Frey to publicly disavow those measures if he did not participate. “[T]he RNC has historically refrained from expressing support for a candidate before he officially becomes the party’s nominee. The unanimous vote came mere hours after the FBI’s arrest of Roger Stone, Donald Trump’s long-time personal adviser and confidante, on multiple federal charges, and a few hours before Mr. Trump abruptly ended the longest-running government shutdown in US history by accepting the same bi-partisan terms he was offered, but recklessly rejected, before the shutdown.